Artery contraction: Finally, freeing from fat deposits in the arteries - natur-apothekes Webseite! 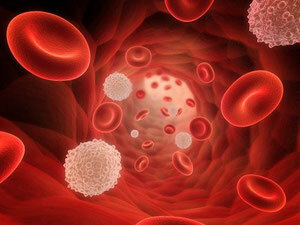 Lower the level of blood lipids in the arteries and bring your blood again to flow. 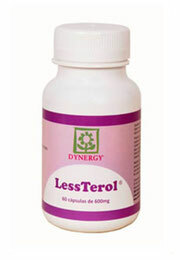 Product effect: LessTerol harmonises the level of blood lipids in the bloodstreams and dissolves the fat deposits in the blood vessels which contract the arteries. Arteries are blood vessels in which the blood flows from the heart into the body; the name no matters whether blood rich in oxygen (arterial) or low in oxygen (venous) is transported. The arteries receive the blood of the heart, which is fortified with oxygen and nutrients and transports it in the "periphery" of the body. There they supply the single tissues with the materials of vital importance. The tissues take the required materials from the blood and fortify it in the exchange with carbon dioxide and other waste materials. Then the veins take over the evacuation of the blood poor in nutrient and poor in oxygen. On the way to the heart the blood is again fortified with nutrients. While passing the lung it is released from the carbon dioxide and is supplied once more with oxygen. About the heart the blood reaches again in the arteries and the blood circulation closes itself. The artery contraction is a slow process, which can remain unnoticed for a long period, but progresses individually and differently fast. It leads to deposits of fat substances on and in the vascular walls. If these increase, they block the vessel, finally, and complicate or interrupt the blood supply. They originate above all from smoking, high blood pressure, fat metabolism disturbances (raised blood values of cholesterol and triglycerides) and diabetes.